It was last autumn, with cooler temperatures than this mid summer’s, that we published some interesting reflections by Ramon Gomis on biomedical research in Catalonia mentioning the CAPRIS programme (Advisory Board in Research and Innovation Policy) and the ICREA programme (Catalan Institute of Research and Advanced Studies). These questions marked the start of a powerful reflection by Núria Radó about nursing research where the aspects of participation and impact of research were combined (multifactorial), and where the aspect of involvement came into play. All of this in the context of SARIS (The Health Research and Innovation Assessment System) and PERIS (Strategic Plan for Research and Innovation in Health 2016-2020). Doing research and publishing on this research are actions which often go hand in hand, be it in scientific contexts (articles, communications at congresses) or in informative contexts (the traditional media or social networks). In this study we saw an analysis of the critical tone of news about medical innovations published in the daily written press. These are the generous reflections by Gaietà Permanyer on the reservations of a doctor when publishing in newspapers or books of a non-professional nature, of the concepts of patient autonomy, of informed decisions and health literacy, and of how everything fits together, to ideally arrive at balanced information in non-specialist media. On the one hand we saw the phenomenon known as “the sleeping beauties of science” thanks to Joan MV Pons and the case of a discovery (published) by Francis Mojica (25 years ago) which has been key in the development of the CRISPR genome editing technique..
On the other hand, two days before the start of spring, we had the collaboration of Ernest Abadal from Newcastle who explained the altmetrics and the strengths and weaknesses of systems (traditional and not so traditional) in the assessment of the quality of a scientific publication. We end this journey on the assessment and impact of research with Ion Arrizabalaga with the challenge of measuring involvement in this context. 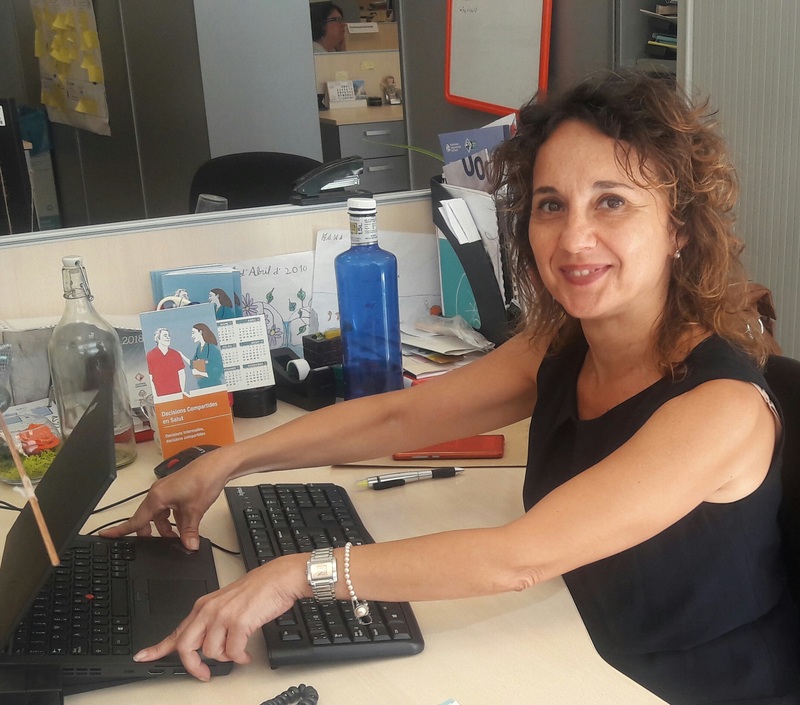 What is special about the recommendations for patients and the Essencial project, one of the projects of the Agency for Health Quality and Assessment of Catalonia (AQuAS)? There is a greater and greater demand to have access to clear and more readily understandable information in health by patients. There is a growing need, therefore, to provide this within a comprehensible format which includes the need to ensure that the medical message a patient receives is effective. 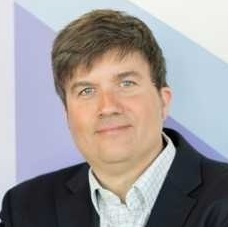 This will in turn facilitate the conversation between both parts and will improve a patient’s understanding of their diseases, treatment options or possible side effects and will most likely also have an impact on empowering patients to be more actively involved in taking decisions related to their treatment. The use of medical terminology is one of the factors, among others, which impedes an effective communication between professionals in health and patients. This could be due to a low level of understanding in health which we call “literacy” or perhaps as a result of the complexity of the specialised medical terminology itself which stems from a wide range of clinical specialities. These use specific terminology and we often find terms used in other fields of expertise such as pharmacy or biology. It is most likely too that one of the reasons why medical information is not successfully transmitted is due to the amount of terminology found in a text which may not easily be understandable to the patient. Moreover, with the progress of medicine itself new terminology is constantly being introduced – some is modified and some terms are discarded. Therefore, the variation in terminology and the use of overlong sentences, the density of unexplained terminology, the use of acronyms, symbols or abbreviations are some of the barriers that complicate understanding. 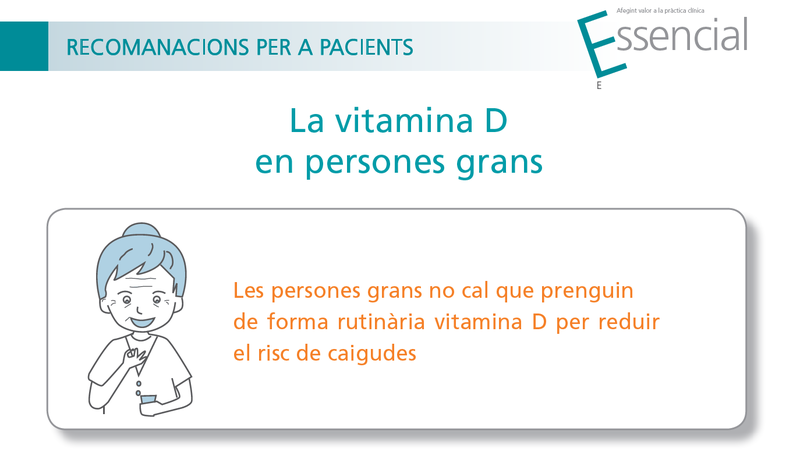 The Essencial project, which has been drawing up recommendations to avoid unnecessary clinical practices for five years, started to adapt information for patients in 2014 and at present there are a total of twenty-two recommendations for patients available in Catalan and Spanish. These are a clear example of how medical terminology is adapted so that clinical recommendations can better be understood by patients and reach them effectively. For this reason, a process is followed to adapt the language to make a text easier to read and this also applies to its content, format and graphic images thus ensuring that documents for patients meet minimum reading requirements. 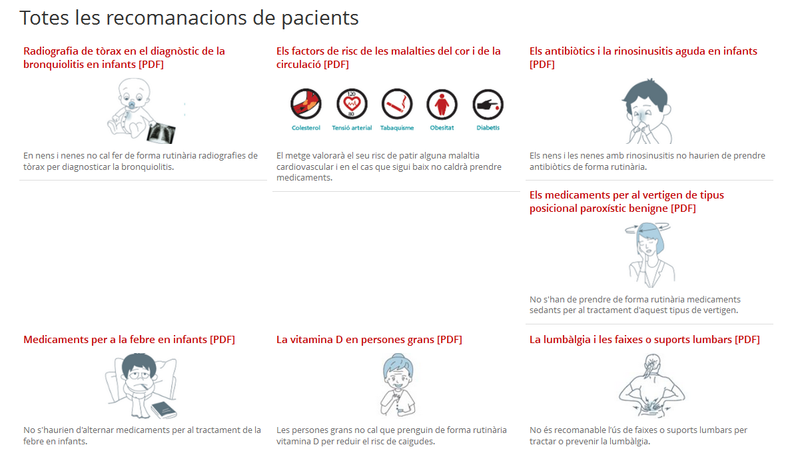 The communication group of the Patient Advisory Council that designed the format of the documents and regularly validates the content also participates in this process. The ultimate aim, therefore, is to make medical language more accessible to patients so that the message is effective bearing in mind the linguistic, cognitive and cultural barriers that may impede the information from being understood adequately. 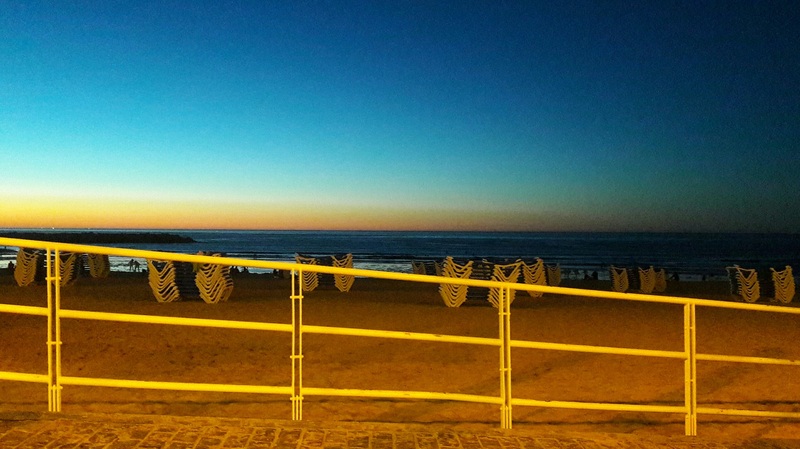 Post written by Montse Moharra. 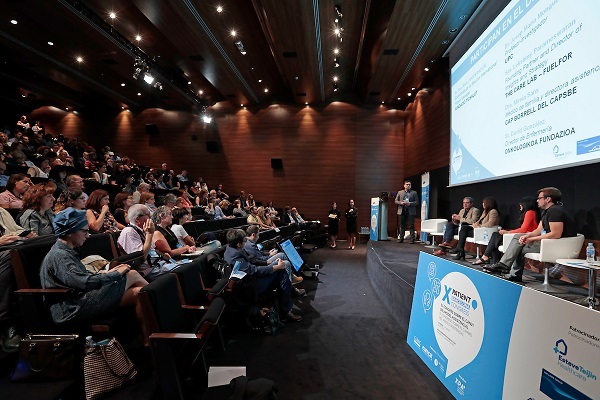 The XPatient Barcelona congress, which this year holds its 3rd edition on September 20 in the CaixaForum Barcelona, concerns itself with innovative initiatives taking place in several contexts: in patient and caregiver empowerment, in the co-creation of healthcare with patients and in technology at the service of users. This has been done via a call for participation, or Call4Projects, which was open till last 25 June and received 73 projects, a figure considered a success in participation. 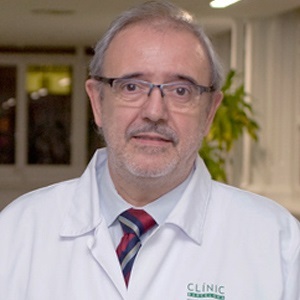 This event, organised by the technological centre Eurecat and the Hospital Clínic, together with the help of the XPA Barcelona community of practice (Patient Experience) – of which AQuAS has been a member since its beginning – has become the main meeting point in Catalonia for patients, family members and healthcare professionals as well as the different actors involved in healthcare. This is where they present and debate on the best initiatives for improving the quality of life of people and users, an area where technology plays a key role as facilitator of new models of healthcare. 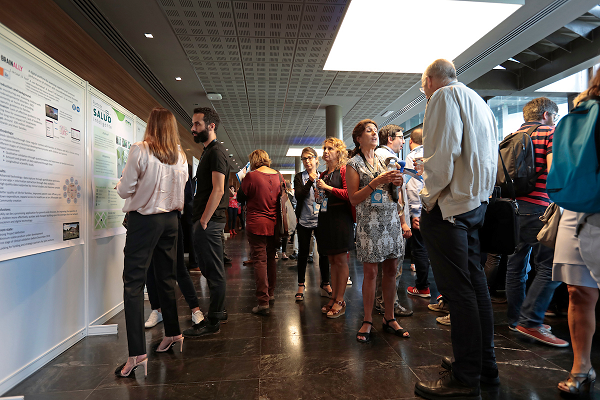 The proposals selected from the participative process, Call4Projects, will be presented during the congress in September either in a speech or in the exhibition space at the event. Post written by Eurecat (@Eurecat_news), Centre Tecnològic de Catalunya.